Coming July 10, July 19, August 6, 2014. 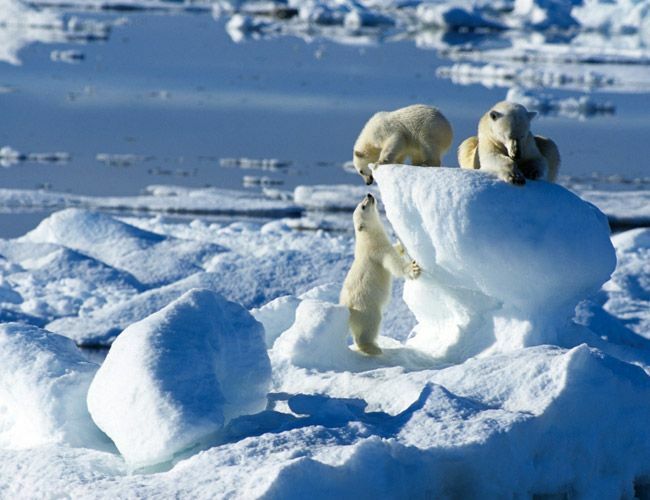 An Arctic adventure cruise complete with polar bears! The Polar Bear Cruise – Spitsbergen Archipelago is a 10-day cruise around the islands closest to the North Pole at a time of year with almost continuous midsummer daylight. Highlights include daily excursions with expert naturalists to view abundant wildlife (polar bears, walrus, whales, reindeer, arctic foxes, etc.) and unique flora and fauna, small group size (limited to 114 passengers), a visit to Ny-Ålesund, the northernmost settlement in the world, and beautiful scenery with deep fjords and towering glaciers. A trip of a lifetime in the land of the midnight sun!